Image and Recipe reprinted by permission of Gibbs Smith. I've been a little slow at posting on my blog this summer. We've had the wedding of our son, our beloved grandson Xavier to smother in hugs and kisses and are simply goofing off now. Most of the summer, Joe has been working on projects for friends and neighbors. He's a handyman, jack of all trades and trustworthy. He plans to supplement our income when he retires since he enjoys it and is good at it. I was offered a beautiful cookbook to review, and how could I refuse since I love everything pumpkin. 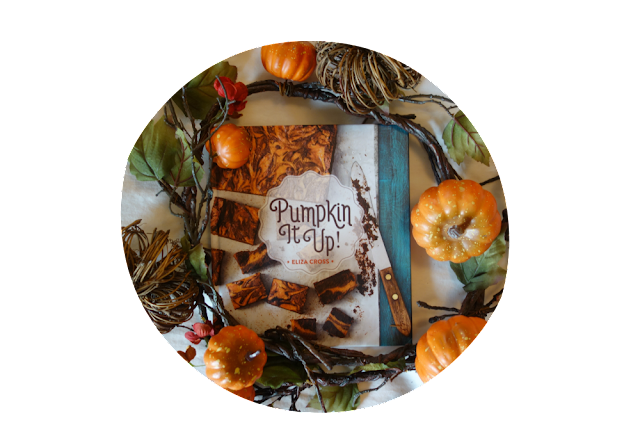 If you are a pumpkin lover, "Pumpkin It Up" by Eliza Cross is a beautiful book to put on display and cook your way through it this fall. My oven was in need of service so the first recipe I tried was the Pumpkin Spice Latte. I made two servings instead of four and was in pumpkin heaven! If you give this a try, let me know! In a large saucepan over medium heat, combine the milk, pumpkin, sugar, vanilla, and pumpkin pie spice. Heat, stirring constantly, until sugar dissolves. Add the coffee or espresso and heat just until small bubbles form around the edge of the pan. 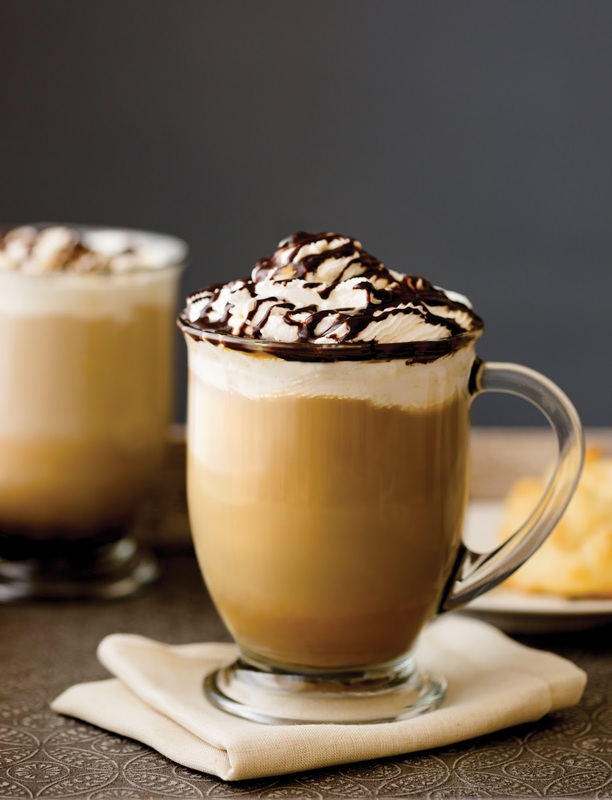 Divide among 4 large coffee mugs, top with whipped cream, and drizzle with chocolate syrup. I promise to share wedding photos soon. Thanks for stopping by. I am joining Foodie Friday at Rattlebridge Farm. Our son-in-law has been busy w/ renos too and he plans on doing what Joe is thinking of doing upon retirement too. What a delicious sounding latte. I am so ready for cool crisp weather! Sounds amazing! We don't switch to pumpkin type foods here in Texas for awhile still but I can dream. if you have time . Thank you.